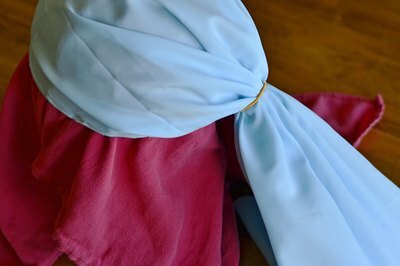 A turban provides the perfect accent for many Aladdin-type costume choices. While it's possible to simply wind material around a person's head for the costume, this approach leaves the wearer vulnerable to a turban that falls apart -- or off -- during a party. Children, who are likely to run around and jump and play during costume parties, particularly need a sturdier option that will last throughout the event. Cut the bill off a baseball cap. Set the adjuster to the costume wearer's head size. 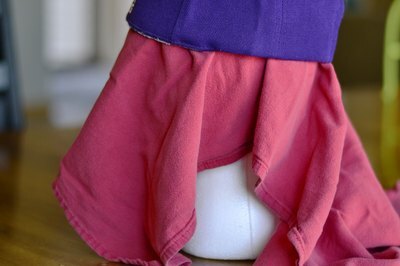 Have the costume wearer try on the cap to ensure it fits snugly, but is not too tight. Place the baseball cap on a styrofoam mannequin head to construct the turban. This helps keep the hat in place as you make the turban. 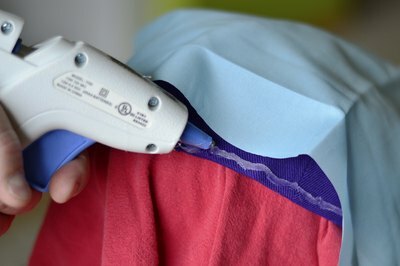 Under the hat, drape a thin towel over the mannequin to protect it from any hot glue drippings, especially if you wish to use it for other craft purposes. 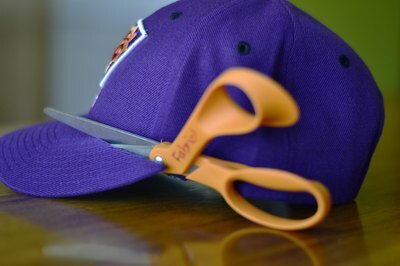 Apply glue to the hat's front end and press an end of the fabric width-wise onto the glue. 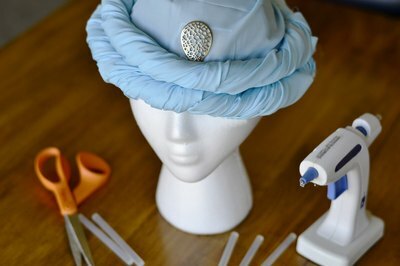 Continue to apply glue to the rest of the hat and drape the material over the rest of the hat. It should look like a bridal veil, with the excess material hanging down and no part of the hat visible. Wait several minutes for the glue to completely dry. Gather the material at the back of the hat into a pony tail. Begin loosely twisting the material into a coil. Working in sections, apply glue to the hat as you press the coil into place. Twist, wrap and glue, winding around the hat. Cross over from side to side instead of winding if that is your preferred turban design. Leave excess material to flow down the wearer's. 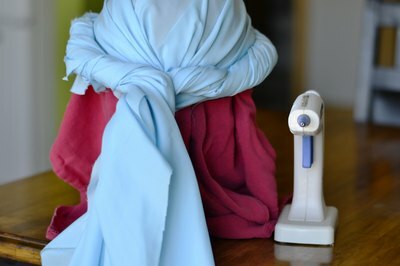 Alternatively, cut off the excess and tuck the end into the turban coils to hide. Glue or pin on a plastic jewel to the front of the turban, if desired.